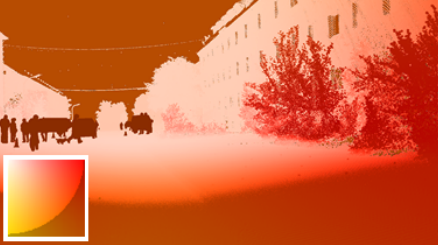 Welcome to the HD1K Benchmark Suite, an autnonomous driving dataset and benchmark for optical flow. 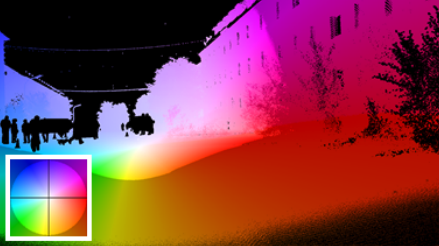 This dataset was created by the Heidelberg Collaboratory for Image Processing in close cooperation with Robert Bosch GmbH. The data was captured in a controlled environment with systematic variation of traffic scenarios, weather, and lighting conditions. The data was acquired at a frame rate of 200Hz with a resolution of 2560x1080. We provide ground truth with uncertainties for optical flow. Creating flow ground truth for real world images is a measurement task and is therefore never perfectly accurate. We propagate measurement uncertainties through the data generation pipeline to obtain per-pixel flow distributions. The interquartile ranges of these distributions are reported as uncertainties. We evaluate average performance across all scenes and specific performance for challenging frame types such as darkness or direct sunlight.